Running low on your electrical supplies? Well, you are at the right place. Installation Parts Supply offers wide range of wholesale electrical supplies online. 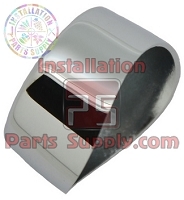 At InstallationPartsSupply.com you'll find a variety of popular electrical supplies including cord sets, EMT Elbows, outlet taps, industrial plugs and connectors including twist lock (locking) plugs and connectors, receptacles including twist lock (locking) receptacles, wall plates, Twist-On Wire Connectors, terminals and connectors, outdoor covers and more. Make InstallationPartsSupply.com your one stop shop for all your electrical needs.